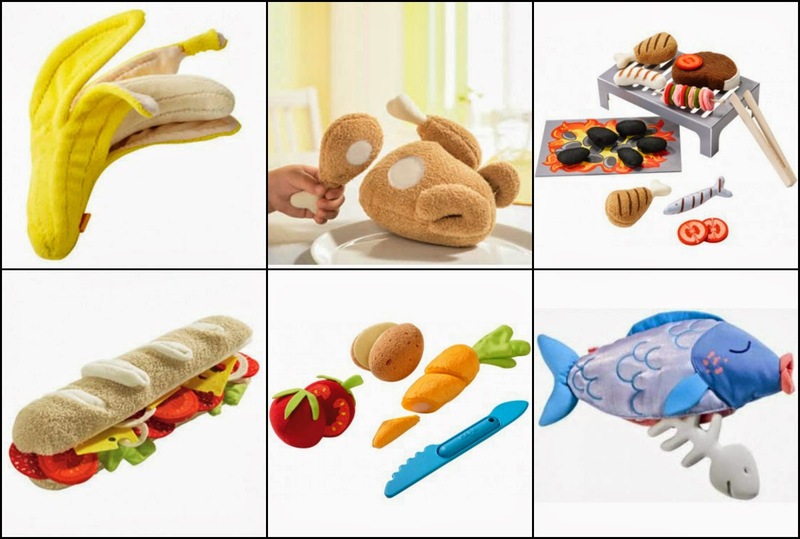 While there are some toys that appeal to different kids' personalities, I am fairly positive that I have never seen a child pass up play food. Whether they are pretending to run a restaurant, be a world-renowned chef or simply cook up a quick snack, the combination of the role play and the delight over seeing everyday foods (or those less common) recreated out of plastic, fabric or wood results in joy from children everywhere! With that being said, that doesn't mean that all play food is created equal. The cheap ones always end up cracking or falling apart at the seams and the last thing you want your children holding dangerously close to their face (as they pretend to eat it) is a poorly-made toy. Fortunately, there has never been any doubt that the European crafted toys by HABA are the exact opposite. A delight to behold in their construction and beauty, HABA's varied collection of play food combines quality, style, entertainment and innovation — far beyond plain and mundane, this is play food that can boost role play fun for hours on end! Unmatched in their selection of unique, high quality toys, games, gifts and furniture, HABA has long offered the whimsical and innovative items for babies, toddlers and beyond that reflect their European values of staying playful and environmentally-friendly. In all the years that I've known (and loved) everything HABA, their line of play food has truly always been unbelievable. Bread you can slice, pastries you can layer, pies you can put together, chicken with detachable drumsticks, bananas that can be peeled, fish with removable bones... I don't care how old you are, there is just no way to not want to play with these! 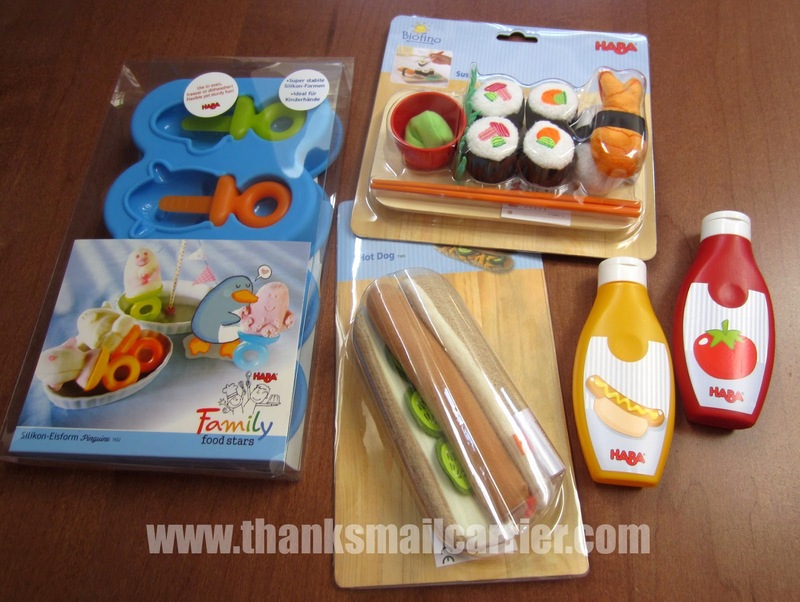 So, when I heard that HABA had brought in new additions to their play foods and added in a line of Silicone Kitchen Molds for functional, edible fun, there was no doubt that I needed to see these in person. I mean come on. Come the heck on. These are adorable!! As homemade sushi is a recent addition to the meal rotation in our household, both Big Sister E's and Little Sister B's eyes lit up at the HABA Sushi Set. 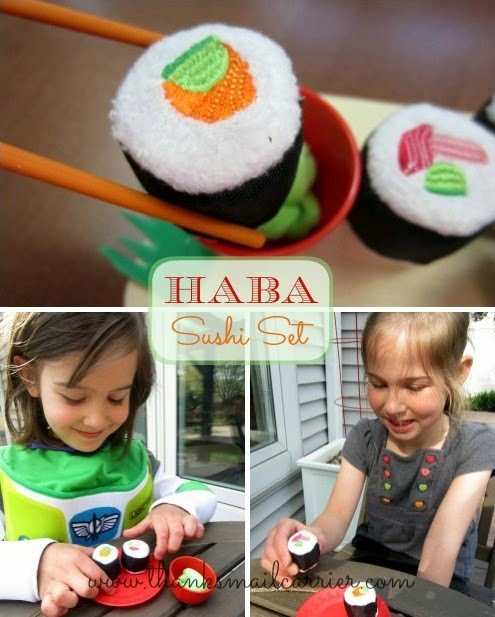 This life-like dish comes complete with the serving board, chopsticks, sushi rolls... even the wasabi! What better way to add a unique twist to our "meals" than with these great pieces? 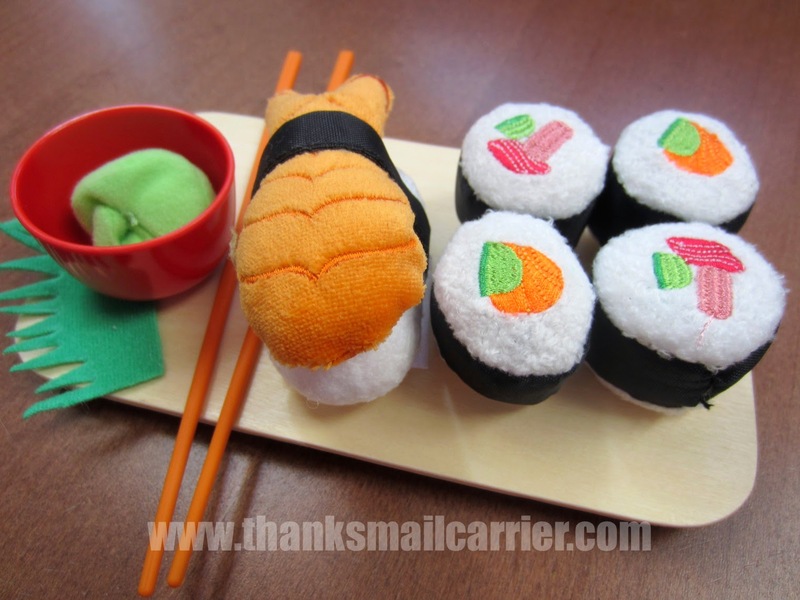 For kids who maybe aren't quite as familiar with sushi, you can't go wrong with the American-style play foods, right? But just look at the difference between a HABA Hot Dog and Mustard & Ketchup versus the ones that we already had in our play room. Is there any question as to which one is more likely to encourage imagination, spark creativity and be reached for time and time again? There is so much detail that went into each of these toys that I find myself smiling every time I see them. 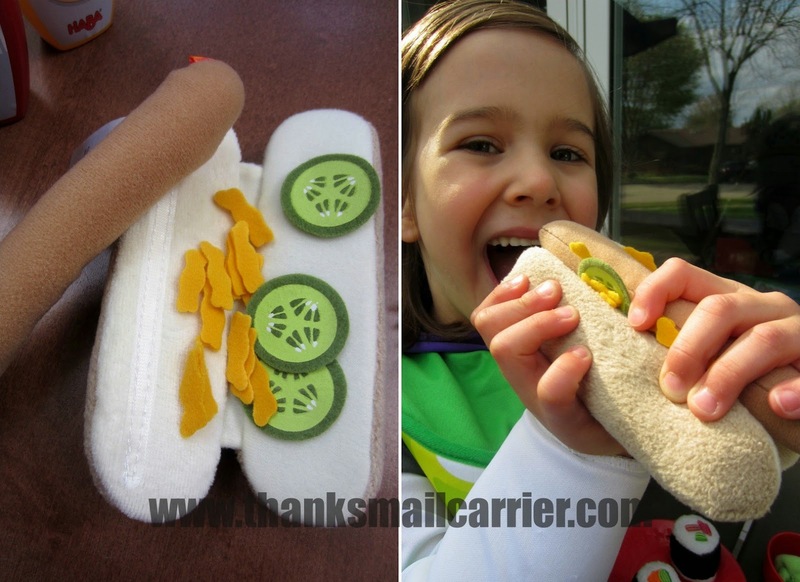 The Hot Dog with Bun & Toppings is a complete polyester/felt set that includes the hot dog itself, the bun and toppings that could be interpreted as cucumbers or pickles and cheese or roasted onions. 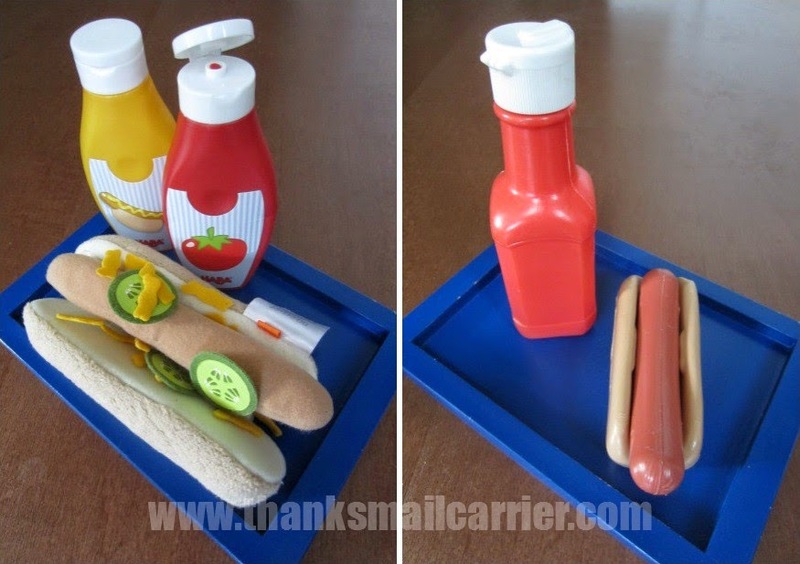 I love the way that the bun has a strip of Velcro to help hold the hot dog in place and that the toppings can easily be used with other play food at any point. But, what would a hot dog be without ketchup and mustard? 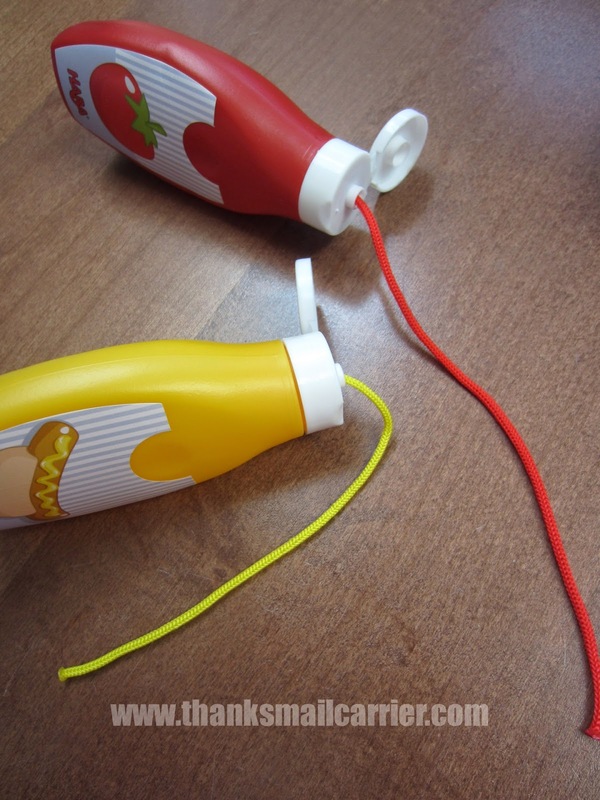 HABA included an extra dose of flair to the design of their Mustard and Ketchup Bottles, as these not only look the part, but they actually "squirt" a colored sting of yarn out when squeezed (which is then very easily replaced back inside to do it again and again)! My girls absolutely adore topping their hot dog (and other foods) as well as laughing every single time they pretend to squirt ketchup and mustard on themselves, each other, me, and just about everyone that comes to our house! When we're not pretending with food around here, HABA has also been spot on with providing just the right way to make real food more fun with their new Silicone Popsicle Tray Penguins. From the top, this silicone tray looks to be a brightly-colored way to create your own frozen treats. But, flip it over and you see just how cute those popsicles are going to be when they're made! The girls have been more than happy to help pick various yogurts, juices and fruits to freeze into animal-shaped popsicles and I love how how easy they are to make. Simply scoop or pour and freeze for a few hours! As a big bonus, I appreciate the just-right size that these turn out. Not too big, not too small, but easy to pop out and perfect for an icy treat that results in smiles and licks... and not one mention of how much more healthy these are than store-bought! 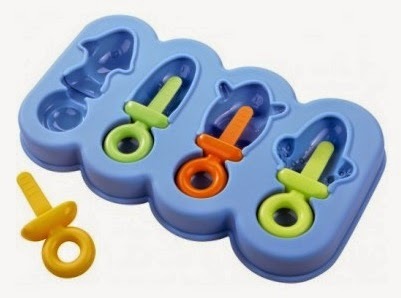 HABA was already a trusted name in our house for high quality toys, but their new collection of play food and silicone molds has expanded that adoration even further! 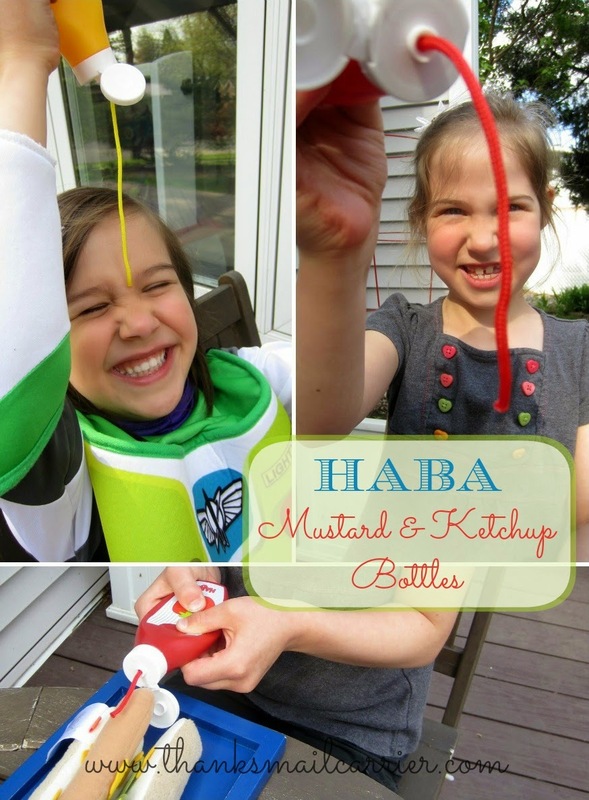 I love that my kids can be creative with both their minds and their hands and these items can be used by nearly any age (HABA recommends them for 3+) and still bring interest, laughter and fun to pretend play. I have no doubt that we'll be playing with these toys for years to come and keeping them in mind whenever we want to recommend amazing and unique products. Head over to HABAusa.com (you can also use the store locator to find their products in hundreds of stores from coast to coast), to bring home the award-winning fun that HABA provides to educate and inspire the children in your life, as well as connecting with them on Facebook, Twitter and YouTube. 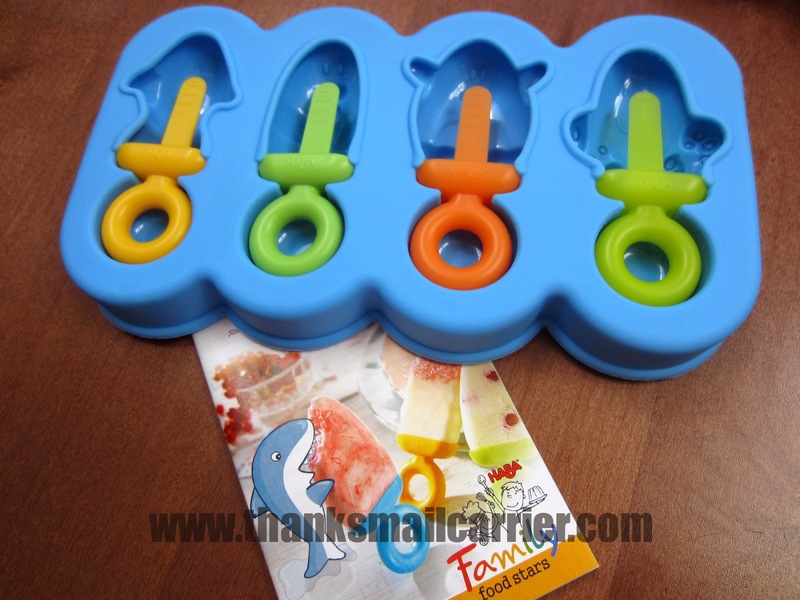 One lucky person will win a Silicone Popsicle Tray Penguins from HABA! 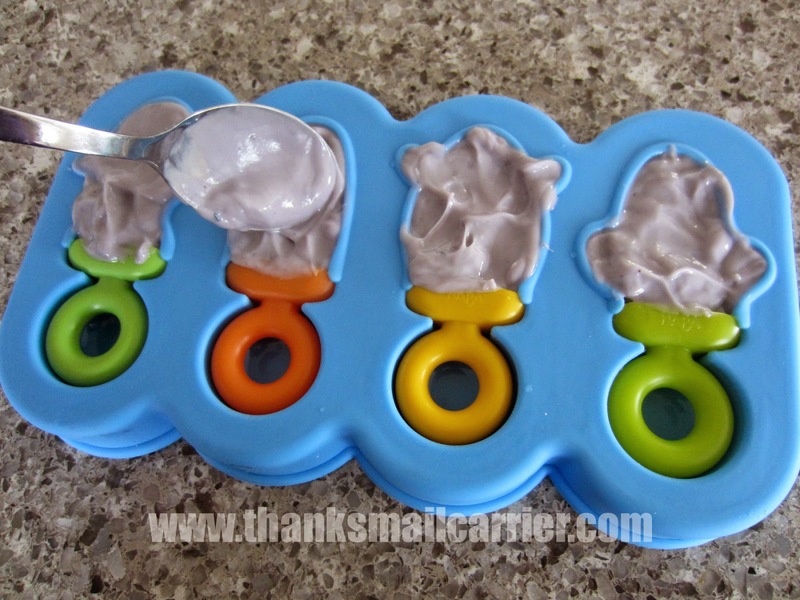 A big thank you to HABA for providing samples for me to review as well as a Silicone Popsicle Tray Penguins for one lucky giveaway winner. The opinions shared are my own and honest and if you really need to see more, click here to see how I roll.